Greece is the most special place for me. When I was eighteen, I did the Europe tour with my friends and Greece was the country I connected with. I went back any summer that I could afford to after that until I was married. I never carried a camera when I was I young. I thought it made me look like a tourist. I was there again recently as well. I’ve never written anything about it. I thought I would start off by listing a jumble of memories old and new and see what happens. Maybe it will jog your memory of your travels. Athens Landing in Athens first time at three in the morning with nowhere to go , meeting some new friends and sleeping at their apt in Kolonaki, Acropolis – when you could still walk around everywhere., Olympic Airlines, baklava , private cars with handmade taxi signs, something is always on strike in Athens, cats, Thodorakis concert at the outdoor amphitheatre on Mt Lycabettus, getting lost on the way down, Delphi on the hottest day ever, amazing feta cheese, drachmas, Nine Muses in Glifada, the Archaological Museum, trying to get the soldiers guarding the tomb of the unknown soldier to talk to us or laugh (you have no idea how many years I did this), sleeping every afternoon because everything closes from 12-5, watching the tourists throw plates in the restaurants in the Plaka, lamburgers, Cat Stevens, bouzouki places , more cats, worry beads, Voulagmeni, Monastiraki Flea Market, Parko restaurant , best hair dry ever, Port of Piraeus – no better feeling than taking the hydrofoil (flying dolphin) or ferry to any Greek Island. Happy. Santorini – sunset over a volcano, black sand beaches, red sand beach, tavernas on the beach, How many bikinis can I wear in a summer? Walking up and down a mountain every day and night from the house we were staying at in heels, fresh bread with butter and honey and kafe megalo , a few hours later having fresh-baked tiropita (fried buttered phylo dough stuffed with cheese and egg) , Akrotiri ( famous Minoan ruins) , throwing up in front of the tour buses (all my drinking stories end up like this), dancing all night at the two discos on the island, eating fried sardines with bones in them for lunch in Megalohori after wine tasting at the vineyards , motorbiking everywhere, fishing early in the morning and bringing the fish to a restaurant to cook for us in Oia, coffee in town watching the tourists come up to Thira from the cruise boats on the donkeys, tired of eating lamb every day, ( Greek islands had only Greek food back then. It was pre cell phones.) Amazing. Mykonos – Every day in Mykonos with Eva and George, Nine Muses, Remezzo, , Pierros, more friends from Athens , staying out all night , Paradise Beach , Super Paradise Beach, sitting in the town with our new drag queen friends and entertaining the cruise boats, shopping in the cool boutiques, (I needed new clothes by then) , tube tops, retsina and ouzo –yasas, 2am (the summer of the curfew), Mykonos Harbor, Beatles “Don’t say goodnight”, Love. Paros – White rocky beaches , peace after the craziness of Mykonos, fresh fish, Greek salad and tzaziki, planning our future., swimming in the clear blue sea, movie theatre (outside), how tan can I actually get? Romantic. Thessaloniki – Riding horses on the beach at George’s beach house outside of Salonika, walking on the beach to get anywhere, (town, clubs restaurants), going to market and getting fresh food every day, playing house, Greek music festival (Opa! ), sailing every day, boats are a lot of work, more new friends, Greek coffee or Nescafe, drinking retsina on the beach,(tastes like turpentine) ouzo shots, more Greek words, promises. Spectacular. Helkidiki – Jewish holidays at temple with Mendy’s family, the women sit upstairs, the service is in Greek and Hebrew –I am completely lost, picking lemons off a tree and smelling them when I fainted from fasting, , watching a Greek funeral as they marched through the streets to transport the casket from the home to the church and then to the grave site. I see a friend and join wearing short shorts and wedges. One of the old women ( always in black) gives me her shawl to wrap around me.. She alternates between crying and pointing out where everyone in the procession lives. I am strangely moved by this old woman and this whole experience. My friends are stunned to see me walk by in a funeral procession. They join. Surprising. 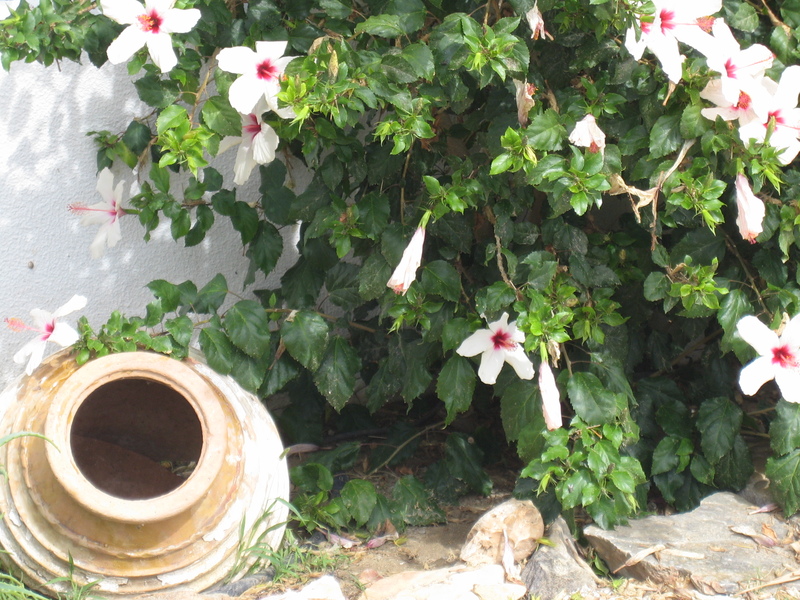 Spetses – mosquitos –It is the green island, we kill them with perfume, Reading Nikos Kazantzakis on a beach , Avgolemono soup for a cold( egg lemon chicken soup), horse and carriages, boat races, , Greek and British tourists, Peaceful both times. Hydra – First time in Hydra – no cars only donkeys, rocks instead of beaches, second time in Hydra – many bars and clubbing, third time in Hydra – I finally have the money to shop –cute stores!. Very Different. Aegina – We fall asleep and our bicycle boat ends up in the open sea . We are rescued by a yacht. We dont attach the rope well (we are city girls) and we turn over. My friends lose all their money. I don’t because my sportsac bag turns out to be waterproof and floats and I hang on. (why do we have all our money on the beach? There are no atms then and we are young and apparently stupid) I drift close enough to the yacht to get on. My friends end up in a small fishing boat with several octopi. They look really angry at me – I am drinking water and they don’t have any. I am in shock. I almost drowned, For the rest of the summer Mendy tells the story in broken Greek and English to someone every day. ‘We did not know the sea,” she begins. 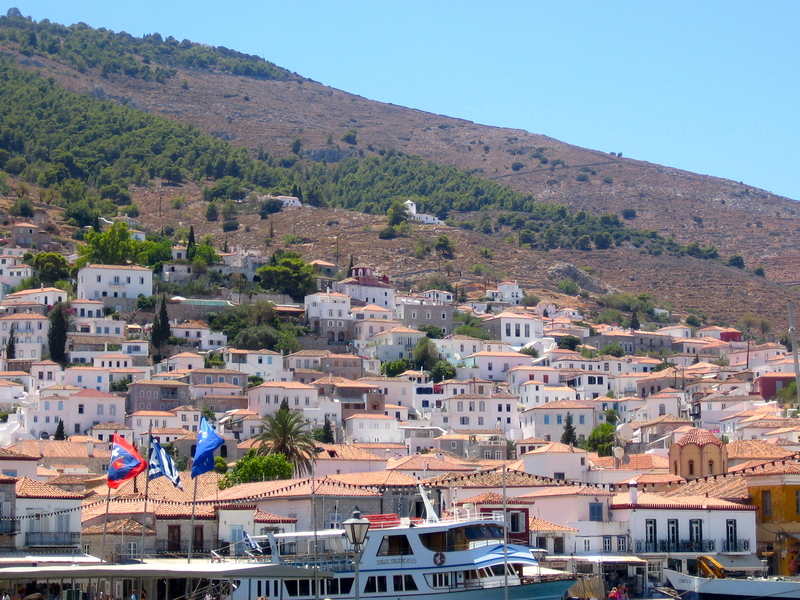 second time in Aegina –I don’t go in the water. I know that sea. Scary. Samos – Having fresh caught Calamari, that had hung on a clothes line, waking up to drunk Germans throwing up every night outside, playing with Eva’s family on the beach, ferry to Kusadasi Turkey , taken away by the police upon re-entering Samos because they thought I was smuggling drugs ( I was really seasick and nauseous and I needed a coke, I forgot to go through customs first and walked into the store which was before customs. –. Eva spends a long time telling them I am another stupid American and they let me go. Dumb. 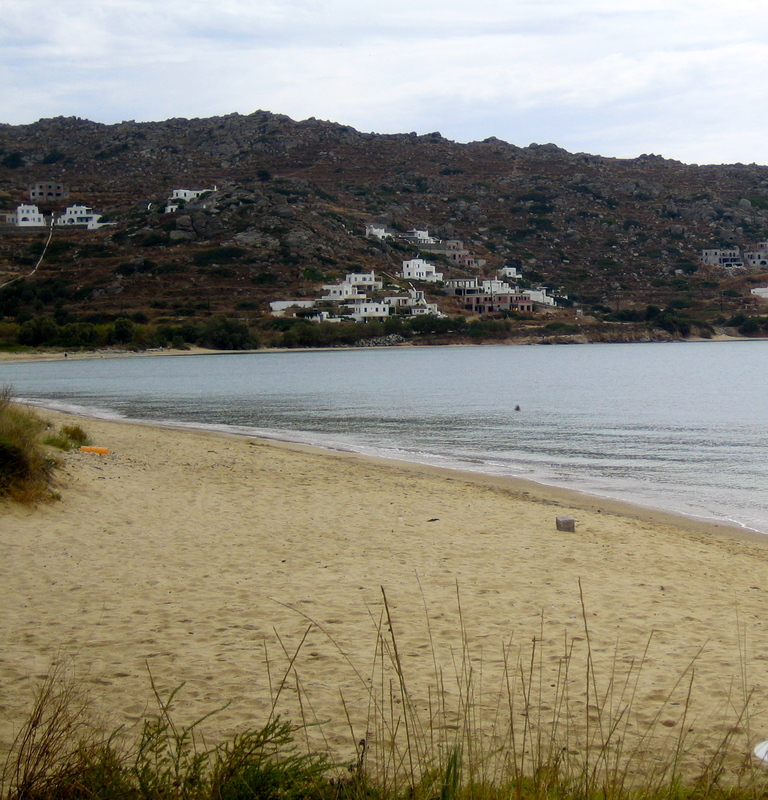 Naxos – taking a ferry in Greece after not being there for so long, Walking on the most beautiful soft sand beach in Naxos, grilled fresh caught calamari as much as possible., beautiful villas, beautiful sunsets, old friends. Wonderful. Poros – Walking down to the town, back on a hydrofoil in Piraeus, No Americans, Having an amazing Greek salad with Eva on Poros 25 years later and realizing that it never tasted as good in the US, watching Greek families on the beach ( It was a Greek vacation area) Greek yogurt, boat to concert in outdoor theatre., dinners with Eva’s family, rocky beaches, clean water, gold bracelets, kids running all over, another summer and I am in Greece. Lesson learned. Memories last longer than photographs.